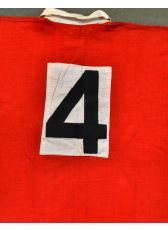 Late 1960s Wales International Match Worn No.4 Rugby Jersey issued to Allan Martin : With older-style three feathers badge, Umbro Maker’s label and black no. 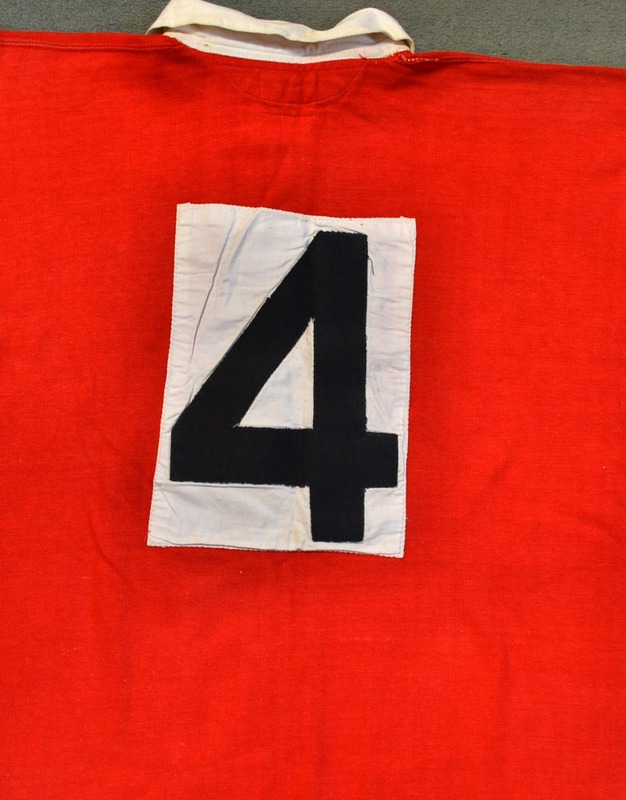 4 on white patch to back of this OSM-size scarlet jersey, this lovely item was bought from Anthemion Auctions, Cardiff as the former property of 34-times capped Aberavon, Wales and twice-British Lions lock Allan Martin. 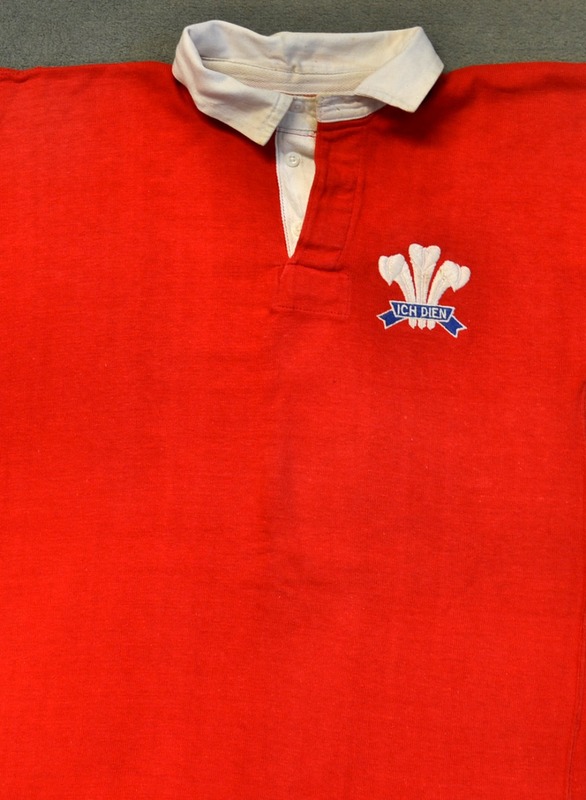 The nature of the badge and label suggests that this may have been one of his later ‘60s Welsh Schools Jerseys: he played many times at Senior Schools Group levels - if not, it can only be an earlier, Senior, International jersey than the version in use when he made his 1973 international debut. Great condition, tiny shoulder fray.